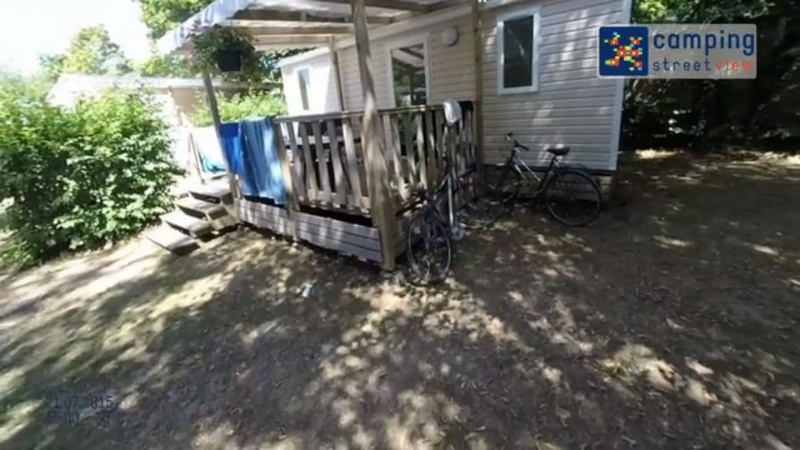 Our campsite is located in a beautiful natural environment, on the shore of Lake Saint-Pardoux and its nautical base. You can stay in campsite, chalet or fully equipped mobile home. On site: swimming pool, snack bar, inflatable games, entertainment and children's club in July and August. Come discover sensational sports or discover the region on foot or by mountain bike thanks to the numerous marked trails around the lake. Discover also the geocaching (famous treasure hunt)! All our accommodations are equipped with televisions. The campsite of Fréaudour is surrounded by the lake Saint Pardoux, its beach and nautical activities. Chalets, mobile residences and camping pitches are proposed to you for your green holidays. On a few occasions there was no toilet roll in the loos, but overall reasonably clean! Location if pitch, close to pool, reception, beach, the snack and also shaded by trees. There is no shop facility and it is a 20 minute drive to the nearest grocery store so be prepared. Gorgeous setting with a lake and swimming pool . Lots for the children to do . The accommodation was in need of some tender care on the exterior, that said the inside was of a better standard though again could do with some upgrades. but for the price it was acceptable. Great place. lovely region. great motorcycling roads.The staff at the park that I met were wonderful and very helpful and friendly. Many thanks. It does need some money invested on the upkeep of the exterior especially and a little spent on the interior. Location and actual site was superb. Brilliant, would like to have stayed much longer. Location and friendliness of site, also very clean, with great facilities. There are activities available for younger children, but the animation activities for teenagers was lacking. also the toilets and showers were dated and although cleaned regularly still felt grubby. This campsite is in a lovely area and just a short walk to the lakeside beach, with its assault course, play areas and associated activities. There is a busier activity centre a short distance by car or bike. Nice campsite in a lovely place. Limited facilities especially for teenagers.